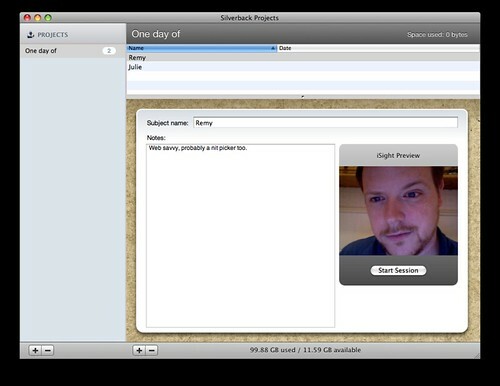 I received a beta invite today to test out the Silverback app from Clearleft. Somehow chosen out of a hat (I know can't be true, because I could never fit in a normal sized hat...unless perhaps if it were a really stretchy beanie...I digress), I've now given it a play and sent my testing feedback. 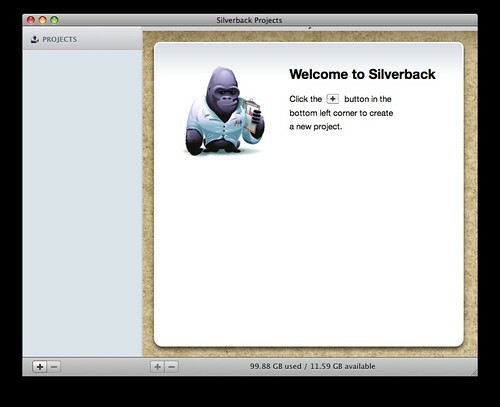 The very first thing that hit me when I opened the app was: What is Silverback? 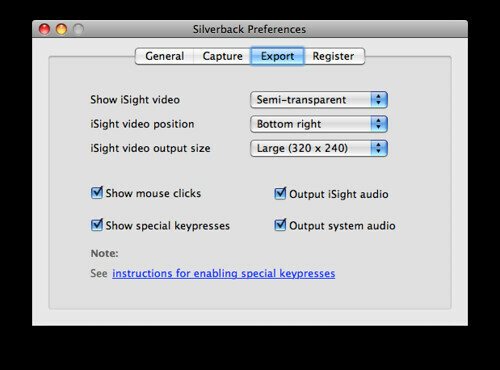 Silverback records screen activity and iSight video, along with audio and mouse clicks. That's it, in a nutshell (via the help). Record the entire desktop activity and the user's reaction (which can have transparency in the final product) and export it to a single movie. It's currently Mac specific and has some nice support for the Apple remote, in particular pausing/starting and chapter marking. Since the Apple remotes (sometimes annoyingly) control more than one Mac at a time, I can see a medium room with multiple Macs running Silverback. The "test master" holds the remote and prompts the user to a specific action, using the remote to create a new chapter marker on all the Silverback sessions at once. Enhanced screencasts. Using the app for something it wasn't designed for, but I believe screencasts are what a picture in "A picture is worth a thousand words" is to a blog post (if you know what I mean). Therefore, adding facial expression and the ability for the viewer to see my hands during a screencast adds even more value to the experience. It's missing a few little features that would make it even better, but it's an early beta (and there are known issues which seem to imply that the feature would be there eventually). I'm particularly interested in specifying the quality of the output - this would help with point 2 above. There's also a few bugs, though I was looking for them. First I looked at normal usage, then erroneous usage. Equally though, it's a beta, and bugs are to be expected. I'm not going to indulge in what the bugs were unless specifically asked (obviously they've gone back to the developers). You can find out more from the Silverback web site or by following the Silverback twitter'er'rer. Posted 23-May 2008 under app-tag & mac & silverback & web.